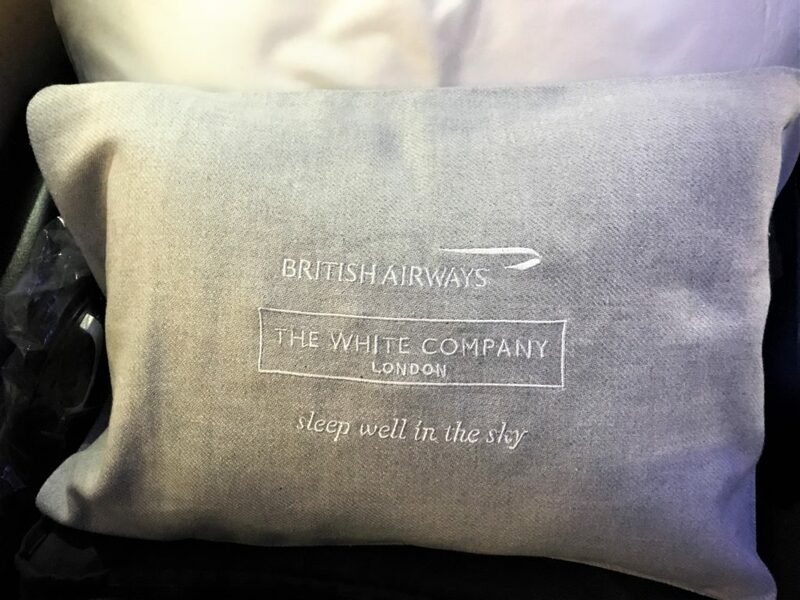 No sooner had I reviewed the new British Airways Club World service and sung its praises than the changes started happening. Some are as a result of customer feedback about the length of time it takes to do the service, some appear cost cutting. There will still be a personal welcome by your designated cabin crew member but they are now going back to serving the pre-departure drinks from a tray which I have no issue with. They will then speed up the meal service by taking a combined drinks and meal order and delivering your tray with the second round of drinks. There will also be an express meal option with a cold starter and dessert served together which seems like a good idea if you want to sleep or work rather than have a leisurely meal! The table linen and menu will change colour to match the bedding which I welcome as the brownish colour doesn’t seem very premium to me. Personally, I don’t know why they don’t just go with white as that always looks smart and is probably cheaper. Then come the cutbacks… The lovely little salt and pepper pots will be replaced by sachets of salt and pepper. This to me screams cheap and nasty, even American have proper salt and pepper for goodness sake! The olive oil will be ‘on request’ which is annoying but I can live with and on all routes except JFK the bread will only have 2 types of bread in your little basket. Again, not very bothered by that. Very sadly, the day cushion is going too – I would have removed the day blankets as I don’t see the point of them. The new bedding will now be rolled out to 13 new destinations in the US and Middle East over the next few weeks. These routes are: London City to New York JFK, Heathrow to Atlanta, Dallas, Dubai, Washington, Houston, Kuwait, Los Angeles, Philadelphia, Riyadh, San Diego, San Francisco, Seattle and San Jose. You can read my 3 reviews of the New Club world service, food and bedding here. Between writing the article and it appearing on the blog yesterday it appears that BA did a u-turn and retracted its application to the CAA for the Qatar aircraft. 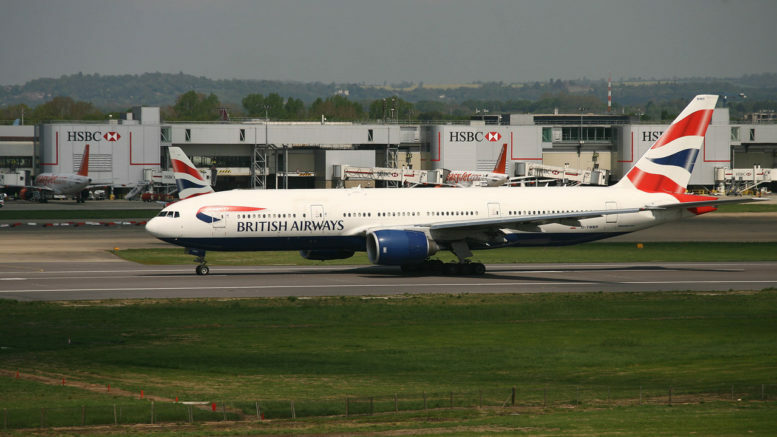 However, it has been formally confirmed by BA that they will be leasing Titan aircraft to cover the Gatwick Monarch slots which leads me onto…..
British Airways recently bought failed airline Monarch’s slots at Gatwick giving them an additional 150 flights a week this summer. This will be the airline’s biggest schedule in almost a 10 years. To cope with all the extra flights BA say “A small number of flights will be operated by Titan Airways on behalf of British Airways”. The schedules are currently showing Titan’s A320s being used for some of the Menorca and Gibraltar flights. The A320s have an “in-flight entertainment system, enabling passengers to stream content, including movies, games and magazines, from an onboard server to their own Portable Electronic Devices.” There are two possible A320 aircraft with a 3-3 configuration, one with 180 seats and one with 168. They have also been using a few CityFlyer aircraft from Gatwick recently and the A319s and Sharklet fitted A320s are due to move to Gatwick when the A320neos arrive later this year. In addition, they will be introducing some new routes to Gatwick that previously from Heathrow. Hopefully, this will lead to lower prices. 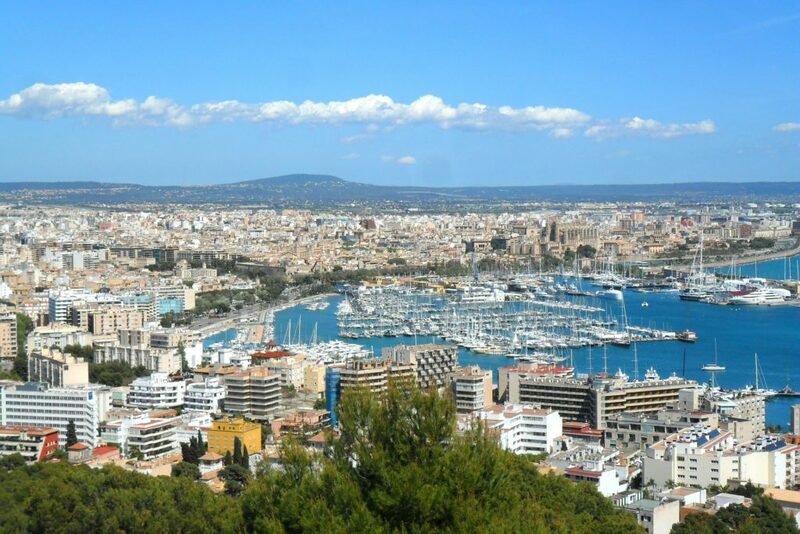 Much as Gatwick is a pain to get to for me, the prices charged on Palma last year from Heathrow were so high I flew Easyjet from Gatwick (I mean, £400 in economy for a weekday flight not in school holidays?!). British Airways’ summer schedule runs between March 25 and October 27, 2018 and the 150 additional flights will be released for sale on BA.com gradually. Alex Cruz, British Airways’ chairman and CEO, said: “We are delighted to be able to further grow our presence at Gatwick by adding extra frequencies and improving our timetable. 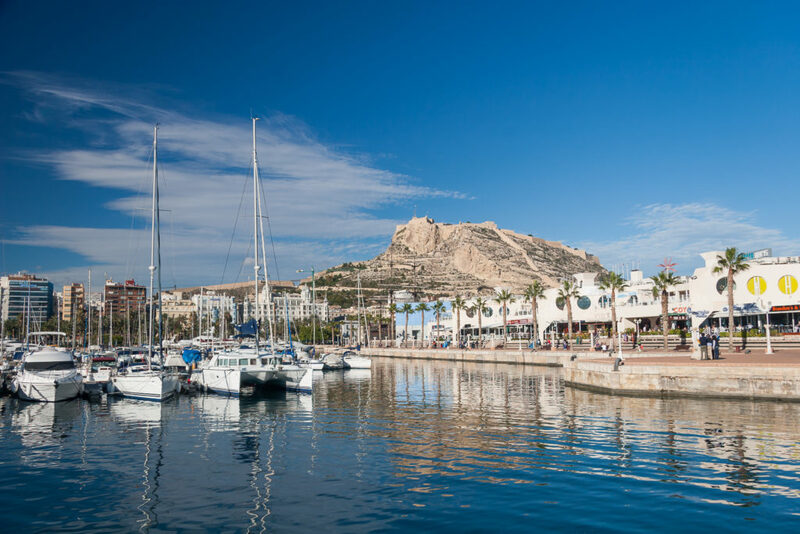 We are also introducing several new destinations to the Gatwick programme, including Palma (Majorca), Mahon (Menorca) and Gibraltar. These exciting new routes give our customers even more choice of destinations at competitively low prices. BA has also added more than 40,000 further seats to the schedule for February and March. An additional 400 flights will operate between February 9 and March 24 which means there should be lower fares available even over the peak periods. British Airways has already announced more long-haul destinations to Gatwick next summer with Toronto and Las Vegas which also operate from Heathrow. British Airways’ January Sale is still on until midnight on January 30, so it may be worth a look at some Gatwick flights. This also means there are likely to be more Avios seats available too. 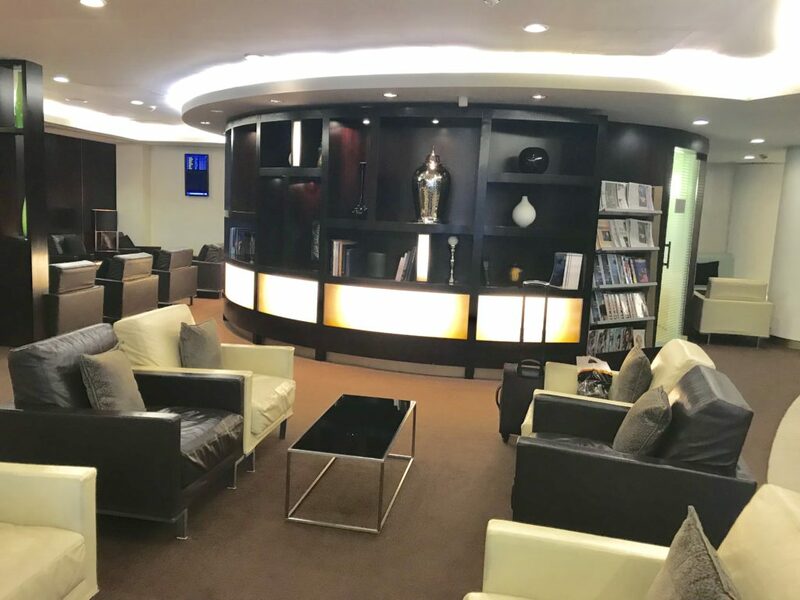 If you want more information about flying from Gatwick on BA you can read my BA Gatwick lounge reviews here and my Gatwick flight reviews here. British Airways is also offering additional savings on holidays in the sale. £25 extra discount on Flight + Car holidays to any destination for bookings with a minimum spend of £600. £50 extra discount on flight + hotel/car holidays to any destination for bookings with a minimum spend of £1,250 per booking. £100 extra discount on flight + hotel/car holidays to any destination for bookings with a minimum spend of £2,500 per booking. The offer ends Tuesday 9 January. You should be able to combine this with the Quidco offer I talked about here for 4.5% cashback. You can find the BA sale page here. 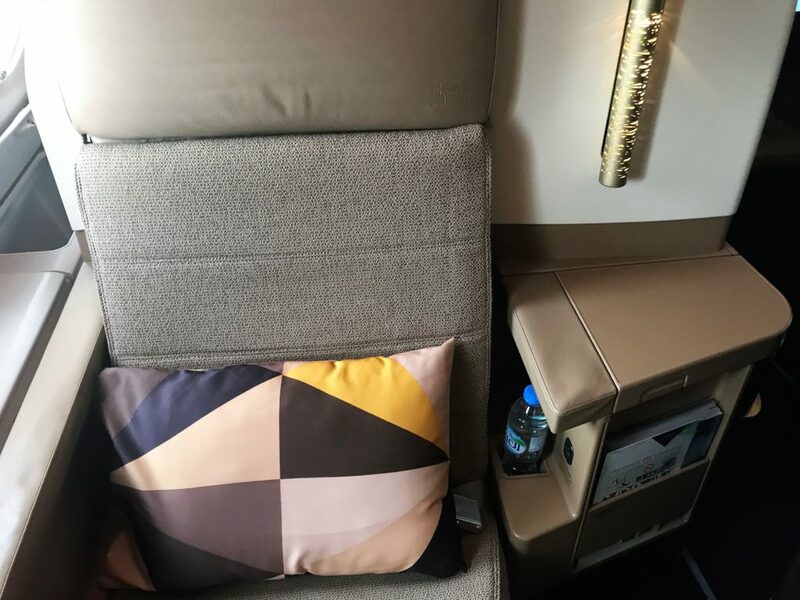 I recently flew on Etihad in their A380 business class studio. there were some issues with the speed of service but the lounges, seats and food/drinks on board were all excellent. You can read my full review of the Business Class Studio here. 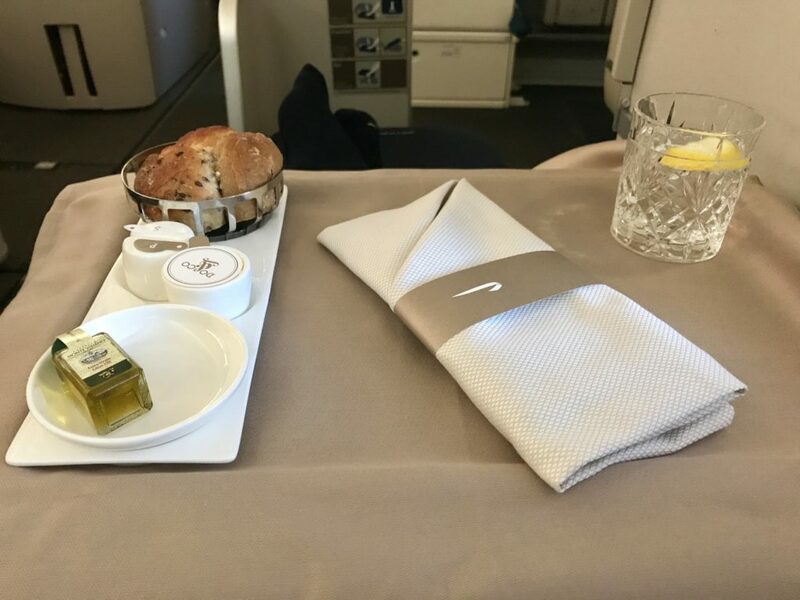 Etihad have just launched another sale which whilst not fantastic has a few hidden gems and with the Business Class studio, may be worth considering. The new Business Studios are available only on the A380 and B787 Dreamliners at the moment. Fortunately, the London to Abu Dhabi route currently has the A380. The rest of Etihad’s fleet offer their older business class which still has fully flat beds. The Business Class Studio features a 22-inch wide seat that converts into a fully-flat bed of up to 6 feet and 8 inches. 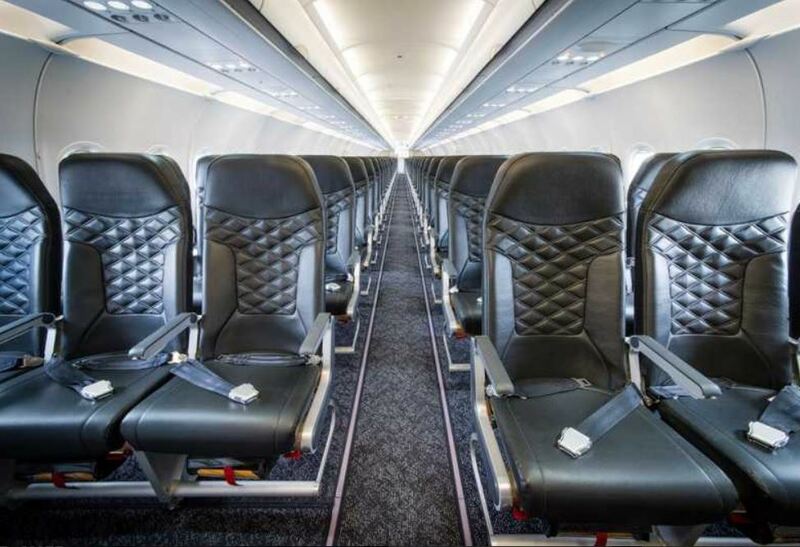 Each seat has direct aisle access, unlike British Airways. range of connection ports and mobile or Wi-Fi connectivity on board for selected flights. Etihad sale prices aren’t fantastic from the UK compared to an ex EU on Qatar or a Finnair to Asia. I do like the Singapore and Kuala Lumpur flights though as these are cheaper than most of the premium airlines but without the hassle of an ex EU. Muscat is also reasonable. Prices vary between London, Manchester and Edinburgh so I have just included the cheapest option in each case. The Etihad sale page is here. 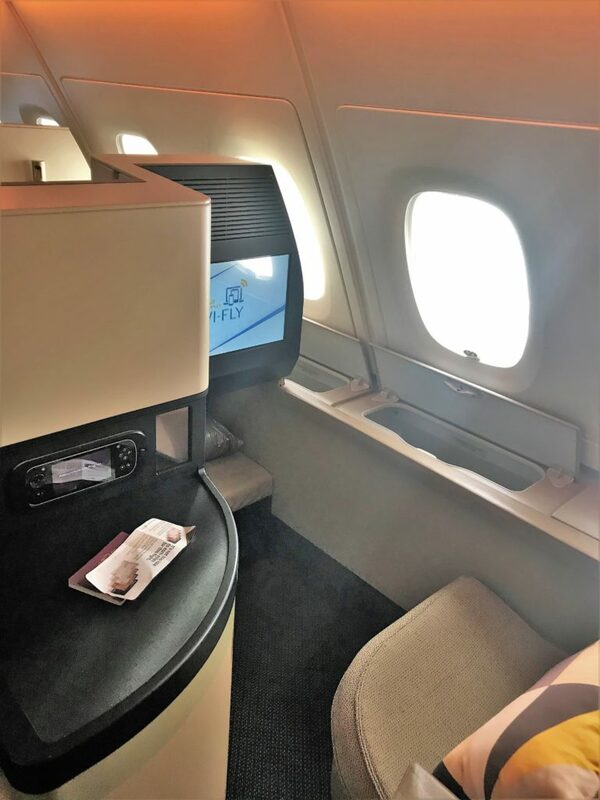 2 Comments on "BA changes: new Club World, Gatwick routes & charters, £100 off sale,+ Etihad sale"
A bit OT, but thanks a lot for the tip on £200 extra for First in the BA sale. A couple of weeks ago I booked for my wife and I to go to SFO – our first First! We’re coming back in CW but even so, had I waited til now the price would have gone up more than 4 times over, and the sale is still on! That’s fantastic news. Always great to hear when someone uses one of the tips to get a bargain. There’s an article on how to maximise your first BA First which may be worth a read but note they have discountinued Quintessentially concierge service now.